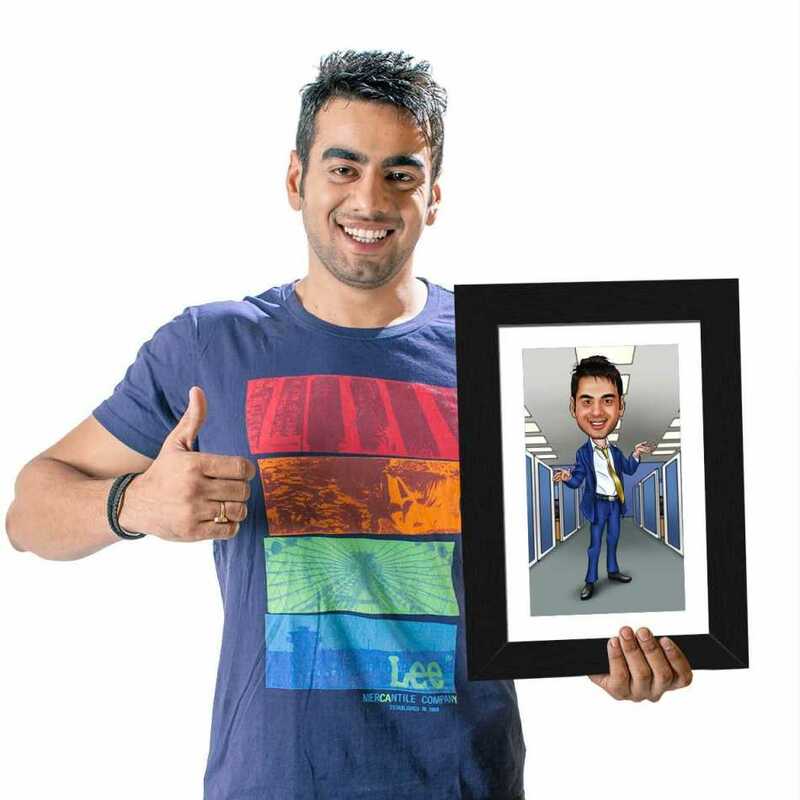 This year gift your boss with this exclusive caricature photo frame of his personality and win his appreciation. The fantastic cartoon illustration would surely catch his attention and make him feel even more authoritative. This caricature is uniquely designed to show the fun mood of a guy who performs his work duties in an enchanting manner. He looks pretty classy in this blue coat and white shirt that perfectly compliment his personality. 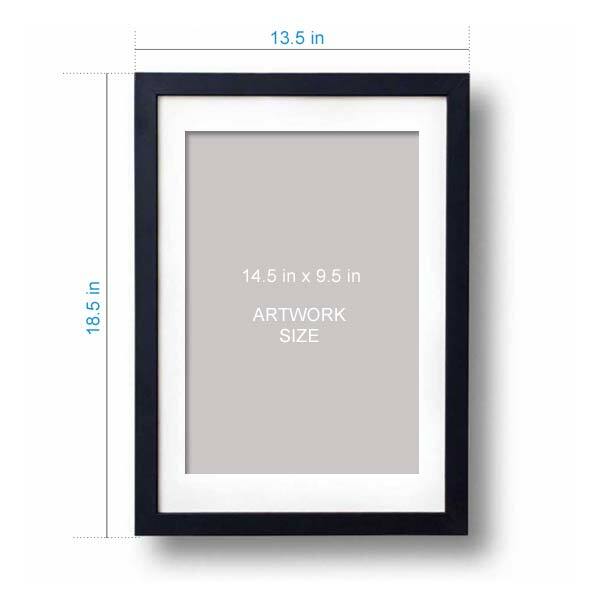 Imagine the name of your friend in this funny photo frame. Do you have a colleague who always does funny things in your workplace and gives you lots of laughter? If yes, then why don you give him something innovative this birthday that gives tons of memories for a lifetime. No doubt there are tons of options when it comes to gifts but matching the naughtiness isn an easy task. It is a fantastic way to gift something that one can forget ever in his life. There will be a cute smile on his face, every time he has a glimpse of this caricature hanging on the wall of his room.